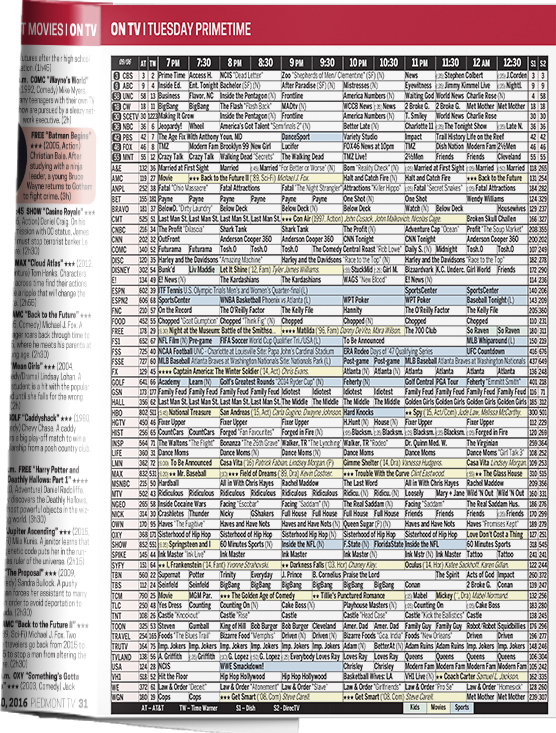 TV Listing books are a hit with readers and publishers. Custom-designed to meet your requirements, TV entertainment books and magazines are the cornerstone of what TV Media does everyday. We can deliver these weekly, bi-weekly or monthly to match your press specifications. 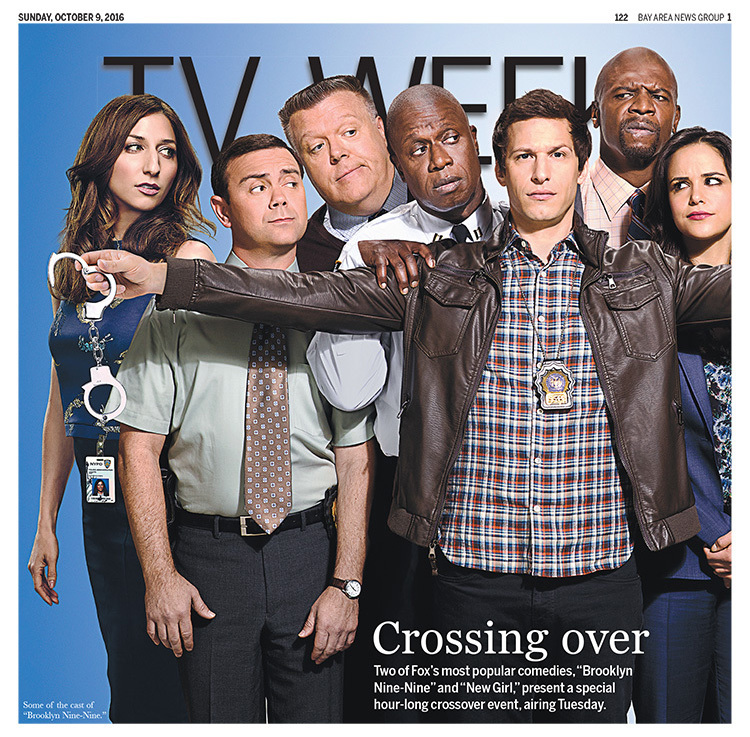 Our grids provide readers with the most accurate listings bundled into an eye-catching entertainment package. Our creative team builds each book to suit your needs, with special attention to fonts, images and graphic design – it all comes together in a perfect package designed with your readers in mind. TV Media’s editors are continuously updating TV schedules. Our team works hard to bring you the most current listing information available. TV grids sent to you daily as PDF, EPS, or any other format you need. If you have a challenging layout, get in touch! Never miss a day of listings. You can download from TV Media’s easy-to-use website, or have us upload files to a location of your choice. Get in touch with TV Media’s production department to make sure your books have the channels you want and lists what your readers watch. Many advertisers position themselves in our books near related content. A restaurant near the food article or a hardware store near the home and garden listings. Regular delivery of articles and puzzles alongside TV listings gets advertising seen. Readers really do look for the book. If you already have entertainment features, use our flexible content to supplement that. Should you need a ready-to-wear entertainment guide, we can get you rolling in no time! We do all the heavy lifting. On a schedule tailored to your needs with custom content, you can spend time selling ad space instead of time spent in layout.